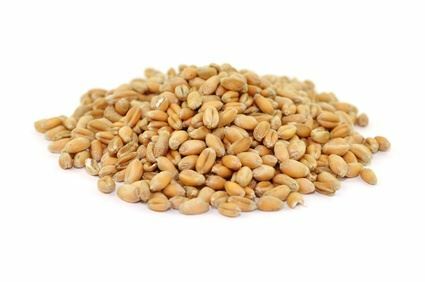 Wheat belongs to the sweet grass family, it is the second most frequently grown grain after corn and the seconds oldest cereal type after barley. The plant, up to 1m high, originates from the Near and Middle East, it carries 25 to 40 wheat grains which are part of the basic foodstuff in many countries over the world. Wheat contains many carbon hydrates, proteins and mineral nutrients such as potassium, magnesium, phosphorus, and iron as well as vitamins, mainly E, B1, B2 and niacin. Wheat is are easily digestible and soothes the stomach. Due to its high gluten content, wheat is not suitable for people suffering from celiac disease, but it has excellent baking properties.